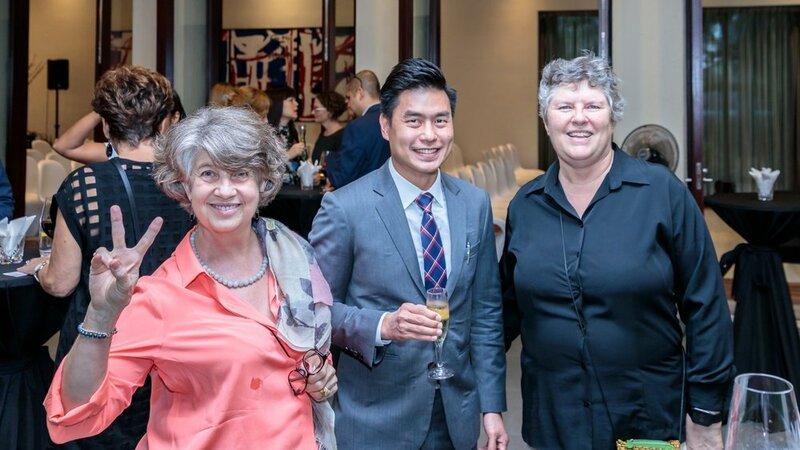 Advance members and partners from across the Asia Pacific joined Stefanie Myers, Asia Director of Advance for the 2018 Born Global Salon in Singapore on September 21. 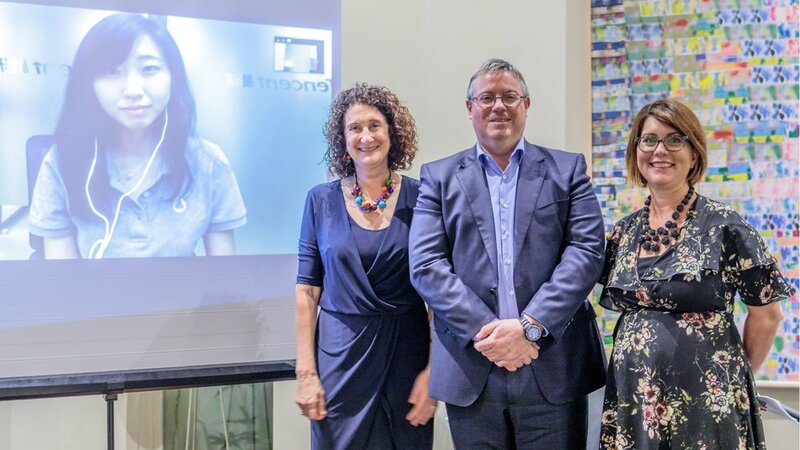 Hosted by Bruce Gosper, Australian High Commissioner in Singapore, the event featured special guests Si Chen, Manager of Strategy for Tencent AI Lab and Aliza Knox, Head of APAC for Cloudflare. Opening the event, High Commissioner Gosper hailed the importance and influence of Australia’s effort in advancing the development of global technology and innovation. The Good Science = Great Business Festival of Innovation provided an opportunity for greater Singapore-Australian collaboration and investment in new technologies. The event began with Si and Aliza sharing their career journeys. Both worked several years in consulting in Australia, an experience Si suggested helped prepare her for the challenges facing global business. Si talked about the opportunities working in China can bring to Australians interested in being at the forefront of new developments in technology and consumer trends, while Aliza shared her experience seeking board positions with Australian companies. On finding board placements, Aliza worked with executive search firms to introduce her experience to the market, with mixed interest. Her persistence paid off, with several appointments including advisor to the ANZ Board Technology Committee, and with Scentre (Westfield Shopping Centers Australia and New Zealand). Aliza emphasized that in order to catch the attention of boards and board search, candidates should clearly articulate their “top three areas of expertise”, including the unique value that their global experience can bring to Australian boards. Si also touched on the possibility of an ‘AI apocalypse’, a fear that the technology might trigger unemployment and existential risks. Both Si and Aliza felt that the most important thing in the use of AI and other “disruptor” technologies was to understand why particular technologies were being used, what outcomes were being sought from the application. Finally, Aliza and Si talked about the missing ingredients for Australia’s ambitions to become a global start-up hub. In Aliza’s view, “there are some basic fundamentals that can hold back start-ups in Australia. A small domestic population is one. There is also evidence of some issues in the financing structure, whereby it’s common for early-stage start-ups to access finance or go public early, but then find themselves unable to raise further rounds.” Si felt that there was an abundance of technology talent in Australia, there was a need to make sure industry and start-ups were able to access and develop that talent. Concluding the discussion, members of the audience shared their experience with using AI for anti-money laundering operations, and of Singapore as a regional hub for accessing talent and developing new technology and innovation businesses. Si leads strategy, business development and operations projects for Tencent Artificial Intelligence Lab across two locations in Shenzhen, China and Seattle, USA. Tencent AI Lab, operated under the umbrella of Tencent - leading provider of Internet value added services in China - was established in 2016 and focuses on the advancement of fundamental research in the areas of Computer Vision, Speech Recognition, NLP and Machine Learning, as well as the application of AI across Games, Social Media, Content Platforms and Healthcare. Aliza Knox is the Head of APAC for Cloudflare, Board Member of Scentre Group, and former Head of APAC for Twitter. The event was joined by almost 70 guests including: Sarita Sing, Director of SMB for South East Asia, Facebook; Michael Correa, Head of APAC, Westpac; Tze-Mau Ng, General Manager, Cochlear Singapore; Dr. Su-Ann Tan, Director of ASEAN, Australian National University; Sean Wee, Head of Corporate Sales, Singapore, OFX; Prof. Carol Hargreaves, Director Data Analytics Consulting Centre, National University of Singapore and David Ding, Head of FinTech, Ecosystems and Innovation, DBS Bank. The Advance Salon was one of more than 35 events held in Singapore throughout September, as part of the Australian High Commission's Good Science = Great Business 2018 Festival of Innovation. Advance would like to acknowledge the tremendous support and assistance provided by the Australian High Commission Singapore for the Salon.